One might be forgiven for thinking that Scotland, with its inclement climate and penchant for deep fried food is a depressing place to visit. However, if you were to look beyond the stereotypical view of the country, you would see that it is a vibrant nation that offers tourists and residents a colossal range of exciting activities. Whether it is the awe inspiring highland mountain ranges, the breath taking craggy western coastlines or the vivacious cities that interest you, Scotland is a nation that should be on any list of places to visit. Edinburgh, the capital city, is a destination that holds something for almost everyone. Steeped in history, the city lays claim to some of the most impressive architecture anywhere in the world, not to mention the stories that accompany its past and the colourful characters that have resided there down the years. This metropolitan conurbation is not stuck in the past though; there are a multitude of exciting events that take place there throughout the year that will excite hedonistic revellers and culture vultures alike. This article looks at just a few of them. The Scottish celebration of the New Year sees Edinburgh transformed into a city brimming with merrymaking as ancient traditions are enjoyed alongside uninhibited partying. The festivities commence on the 30th of December with a torchlight procession that leaves the Scottish parliament and culminates with a huge fireworks display on Calton Hill which overlooks the city. The following night the city centre is overrun with countless revellers, bringing an almost tangible atmosphere of excitement to the streets as they watch the multitude of bands that play at the street party and dance the night away at huge ceilidhs. Not to be missed are the fireworks at midnight, which light up the majestic castle, and these of course, spark a mass sing a long of the traditional greeting of the new year, Auld Lang Syne. 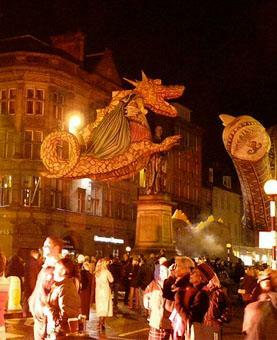 The Beltane Fire Festival is an ancient Celtic celebration marking the beginning of the summer. As April turns to May Calton Hill, featuring its impressive acropolis and magnificent panoramic views over the city, hosts over 11,500 party goers who enjoy a symbolic performance that celebrates the fruition of spring and the commencement of the summer. 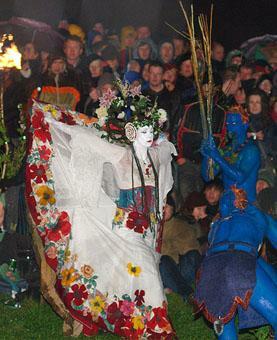 The performance sees hundreds of people clad in body paint rejoice in the fertility of the land through enactments, processions, drumming and monstrous roaring fires. This really has to be seen to be fully appreciated. For the month of August the Fringe Festival runs simultaneously with other arts festivals as Edinburgh is transformed into a pulsating hive of performances and shows. There is a gargantuan variety in the genre of performance on offer meaning there will always be a multitude of things you want to see. It is considered a critical event for any comedian to attend and display their talent, it can be the making of many acts affording them unrelenting critical acclaim and potential global stardom. 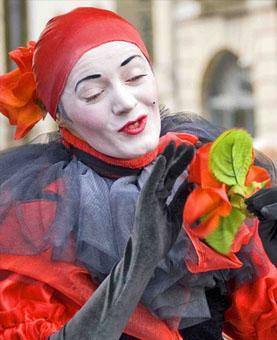 As a visitor to the city in August you will have the chance to see all manner of shows, as performers enthusiastically attempt to build their audiences by taking to the streets and offering a vignette of their shows or bombard punters with flyers and a quip to try and secure their attendance. The bonhomie atmosphere that resonates through the city in the month of August is something that cannot be conveyed by words alone and really should be experienced. Jim Anderson the author of the “Why Edinburgh Scotland’s party capital” is a patriotic Scot and fiercely proud Edinburgh resident. He is never short of requests from friends to join him in his Edinburgh apartment, so they can soak up the capital’s lively atmosphere.